Prefabrication isn’t new! Most everything that surrounds us in everyday life is prefabricated. The computer you are sitting in front of right now, the keyboard you are using, the smartphone in your hand, the stove in your kitchen. The meaning of Prefab: an item or components of an item that is pre-assembled in a factory before the product reaches you. The idea that Panelized Prefab Homes can provide an efficient alternative to traditional construction is no longer news. Prefab Homes offer many advantages over traditional construction. Our dedicated team has worked with clients, builders, and architects since the 1980’s to come up with custom designs that are engineered to meet and exceed the local building codes. 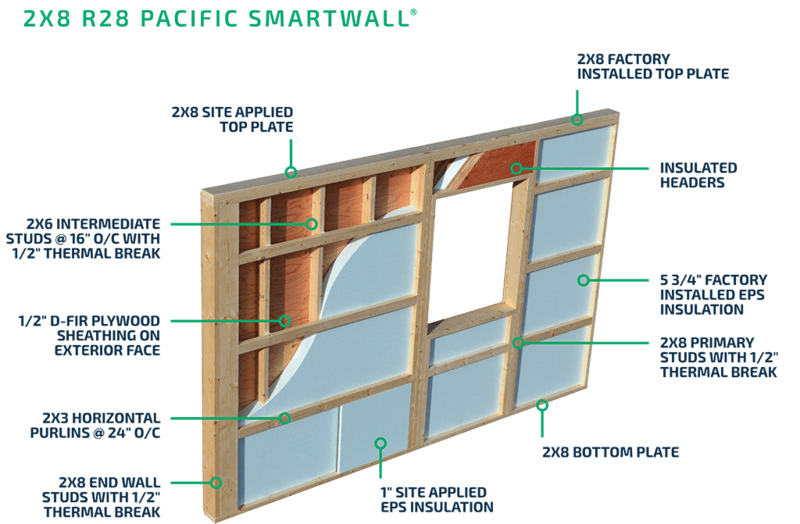 With the demands of a shorter build season in Alaska, our Pacific SmartWall® System and Energy Efficient Prefab Building Packages can offer many benefits for anyone looking to build a custom home. 1. COST SAVINGS: Guaranteed package price minimizes costly overruns while providing shorter build times, fewer labor requirements, reduced material waste, and long-term energy savings. 2. OUTSTANDING QUALITY CONTROL: All major components of the home are built in a climate-controlled environment with a premium grade of lumber which creates less warping, splitting, shrinking, drywall cracks, nail popping, and mold-related issues in your finished home. State-of-the-art, computerized equipment used during manufacturing can identify potential design flaws prior to construction. 3. 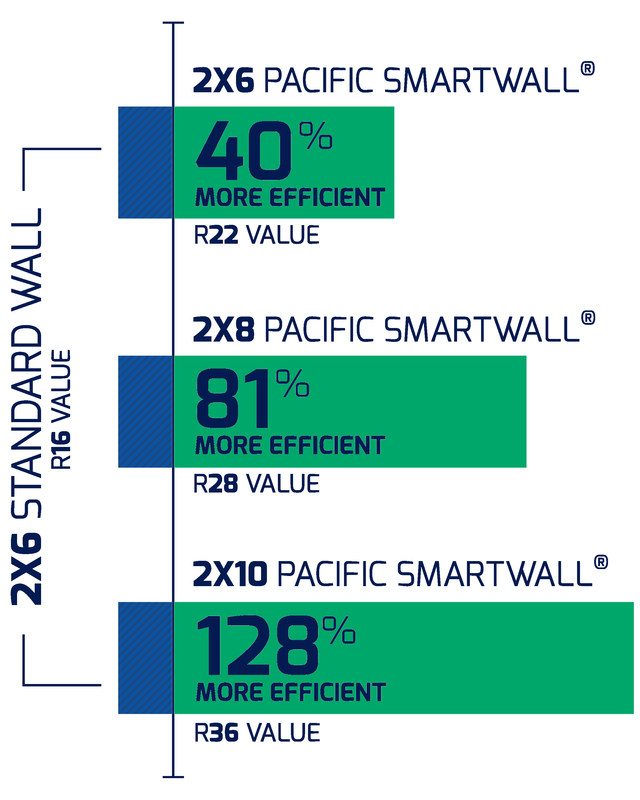 SUPERIOR ENERGY EFFICIENCY: Our exclusive Pacific SmartWall® System is up to 128% more energy efficient, and provides a more effective R-value, greater noise reduction, and increased air quality to get you through the cold winters. 4. FAST AND STRESS-FREE: Fewer delays due to sub trade and weather complications result in faster move-in dates and less stress. 5. 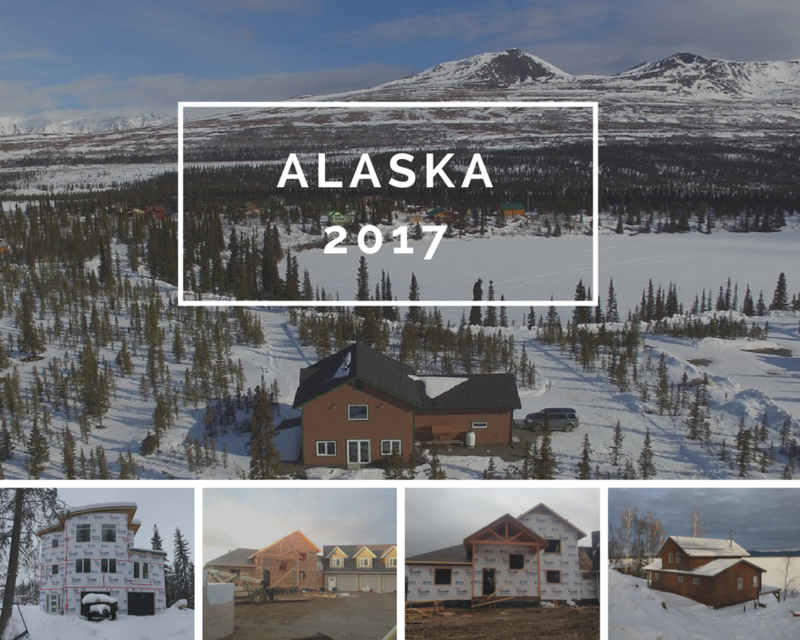 CONTRACTOR NETWORK: We have a dedicated contractor network in Alaska that we can get you in touch with that will get the job done on time and on budget. 6. ECO-FRIENDLY AND BUILT GREEN: We take environmental sustainability seriously, providing practical, affordable custom solutions that make Pacific Homes among the ‘greenest’ available. 7. WE CAN BUILD ANYTHING: Bring a plan to us or we can design a custom plan for you. Then Pacific Homes works to make your vision a reality. At no extra cost. 8. BANKS LIKE US: Banks prefer the security of our building system and our guaranteed pricing. 9. YOU’LL LIKE US: Outstanding customer service from start to finish. 10. WE’LL SHIP ANYWHERE: Whether you are in the heart of Anchorage or the small-town of North Pole. Whether you bring your own plans or select from the Pacific Homes collection, the dedicated team of professionals will guide you through a streamlined process of custom home building. With the demands to deliver on time and on the budget, Pacific Homes guarantees the supply of materials as specified and will provide a fixed cost for a major portion of your building project. It’s important to Pacific Homes that you have everything you need to complete your project. 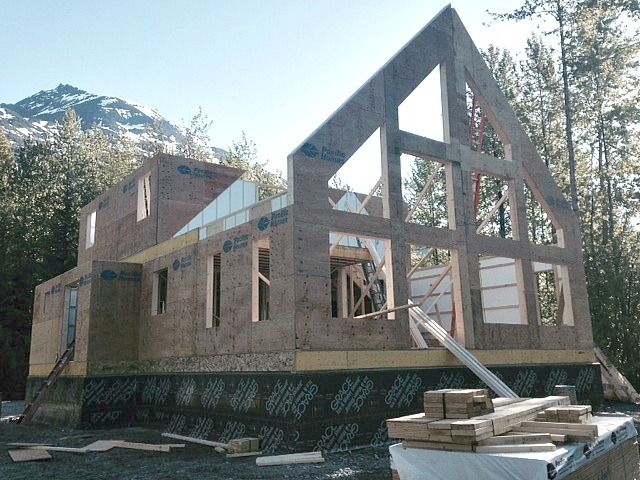 To help you in that process, all prefabricated building packages leave the facility with the following included: prebuilt engineered wall panels, roof trusses, precut and numbered floor systems, pre-hung doors, windows, siding, roofing, insulation, drywall & interior finish. The building package will be locked up in half the time of stick frame construction. Dear Ray Greene, – There isn’t a day goes by that we don’t think of you with gratitude for our lovely new home. It would not have been possible for us to accomplish such an enormous job without your knowledge, patience, kindness, generosity and friendship. Warmest best wishes.